Last of a three-part film series presented by the Center for Middle Eastern Studies in partnership with The Arab Film Festival on the 70th anniversary of Al-Nakba of 1948, one of the Middle East's most defining episodes. Rather than approach it as a singular event in the past, the films in this series (all recently released) illustrate the unfolding nature of Al-Nakba (Arabic for cataclysm or catastrophe) as an epoch of unrelenting erasure of Palestinian lives and histories. They also show how a traumatic event can be generative of infinite passion and creativity. The themes of these non-fiction films are: suturing exilic connections with the denied homeland through the art of embroidery; film-making as a revolutionary and revelatory act in the face of erasure; and a 3rd generation refugees search for love as an antidote to defeat and addiction. The series is curated by Ahmad Diab, Assistant Professor of Arabic Literature in the Department of Near Eastern Studies, who will be on hand for the screening and discussion that follows. 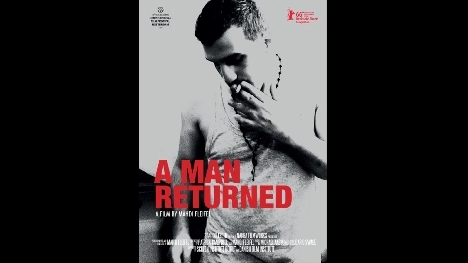 ABOUT THE FILM: "A Man Returned"
Reda is 26 years old. His dreams of escaping the Palestinian refugee camp Ain El-Hilweh in Lebanon ended in failure after three years trapped in Greece. He returned with a drug addiction to life in a camp torn apart by internal strife and the encroachment of war from Syria. Against all odds he decides to marry his childhood sweetheart; a love story, bittersweet. Winner of the Silver Bear Jury Prize (short film) at the 2016 Berlinale.